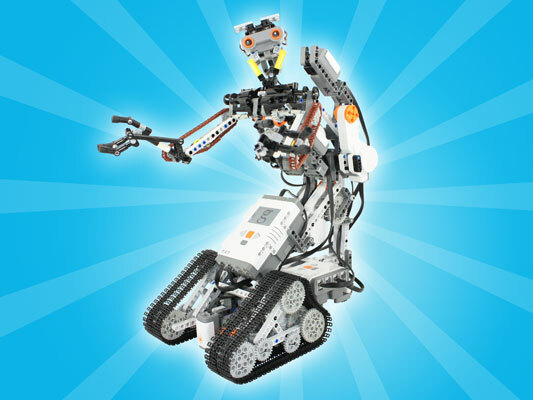 LEGO MINDSTORMS NXT is better than ever: new models, more customizable programming and all-new technologies! MINDSTORMS NXT 2.0 combines the versatility of the LEGO building system with all-new technologies, an intelligent microcomputer brick and intuitive drag-and-drop programming software. The new 2.0 toolkit features everything you need to create your first robot in 30 minutes and then thousands of other robotics inventions that do what you want! These robots can see with sensors. They talk to each other with bluetooth (the same technology in your cellphones, cars, and computers). They can sense if they're going to fall off tables. But they won't do any of that without instructions from your kids. And those instructions are the same ones used in cutting-edge, real-world programming today. Send your child on the road to fantastic opportunity in the world of technology. Enroll them in Great Minds Robotics.